A satisfying and savory appetizer! Slice each date lengthwise so they open flat; remove the pit. Stuff each date with one teaspoon of cheese and close. 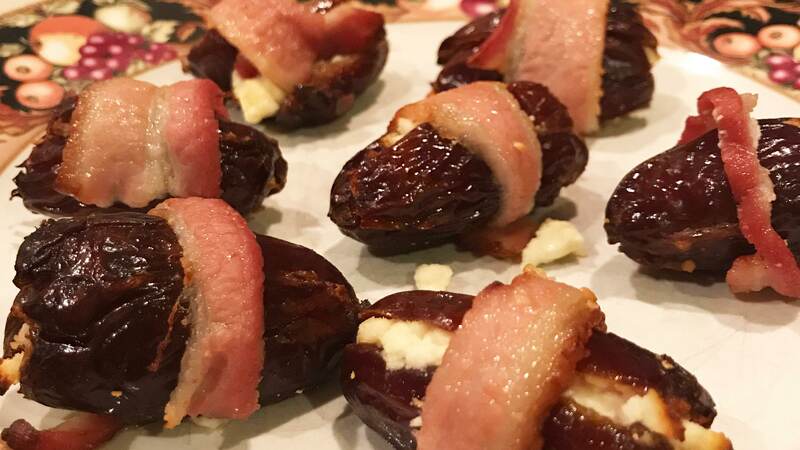 Wrap bacon strips around each stuffed date so bacon overlaps; secure with toothpicks and place on the baking sheet. Bake for 20 minutes, or until the bacon is cooked and the cheese is lightly browned. Remove and serve warm.